The Evolve Narrow Bookcase by Vox is a stunning piece of furniture that perfectly complements the other furniture from the Evolve range. 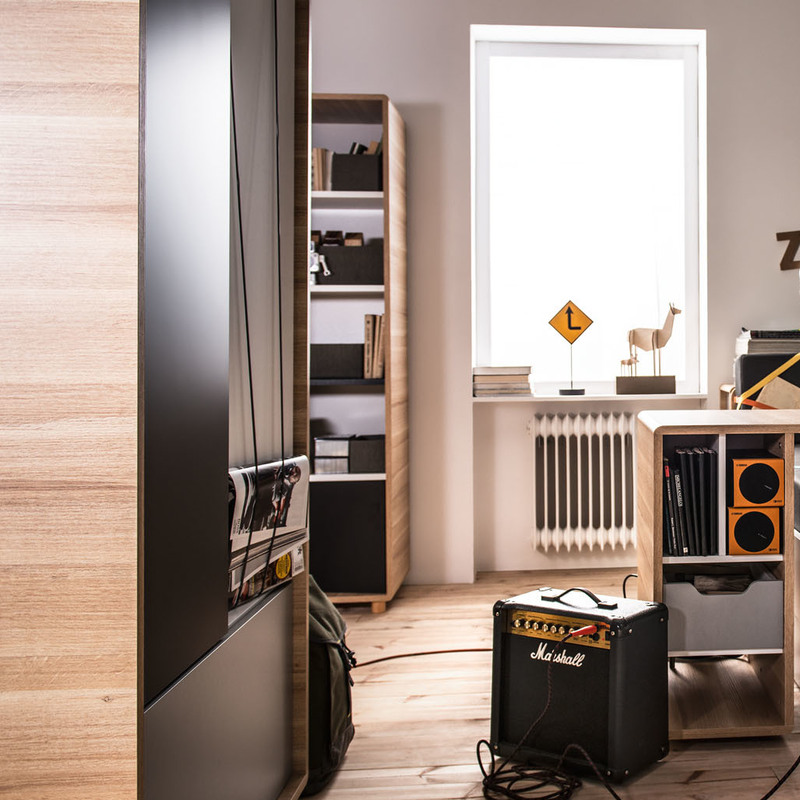 The Evolve Narrow Bookcase by Vox is a stunning piece of furniture that perfectly complements the other furniture from the unique Evolve range. The bookcase features five spacious shelves, the bottom shelf being covered by a black hinged door. The combination of white shelves, light grey backboard, black accents and natural wood shell creates a unique look that will enhance any contemporary room. 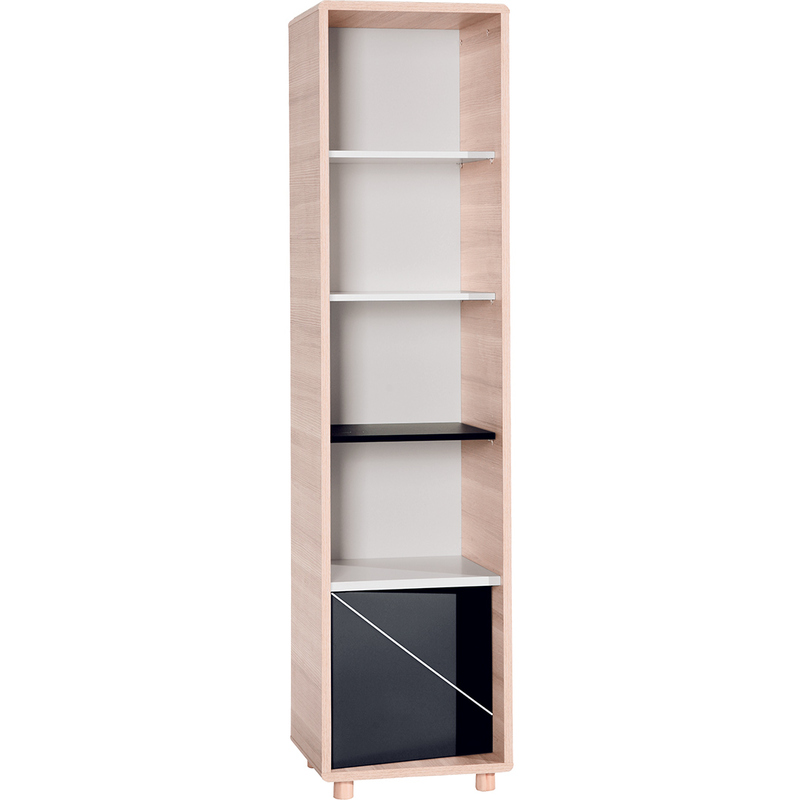 The bookcase is lifted slightly off the ground with sturdy wooden feet, enabling easy cleaning underneath.